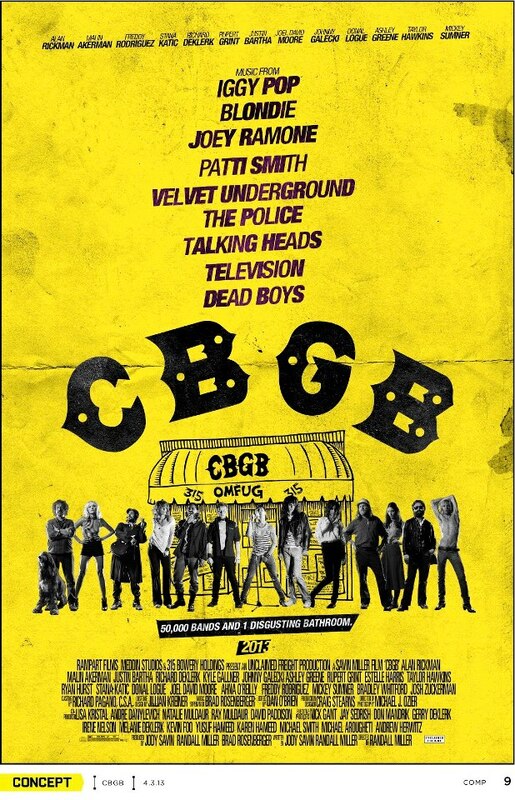 CBGB is an upcoming feature film directed by Randall Miller that shares the history of New York City’s legendary and (now) defunct club, Country, Bluegrass and Blues (known as CBGB). Rolling Stone reports that it was produced for less than $10 million and will CBGB feature more than 40 songs from the club’s heyday. It’s set to be released later in 2013. CBGB tells the story of Hilly Kristal (Alan Rickman) and his New York club from its conceit as a venue for Country, Bluegrass and Blues (CBGB) to what it ultimately became: the birthplace of underground rock ‘n’ roll and punk. When Kristal had difficulty booking country bands in his club on the Bowery, he opened his doors to other kinds of rock music. Kristal had one demand of the acts he booked: they could only play original music. No top 40?s, no covers. It was the credo he lived by — support the artist at whatever the cost. Hilly Kristal ironically became known as the godfather of punk, giving a chance to such bands as Blondie, Television, Ramones, Talking Heads, Dead Boys and The Police.